Escape on an island adventure - relax and unwind in the peaceful surroundings with the bush, birds and beach at your side. 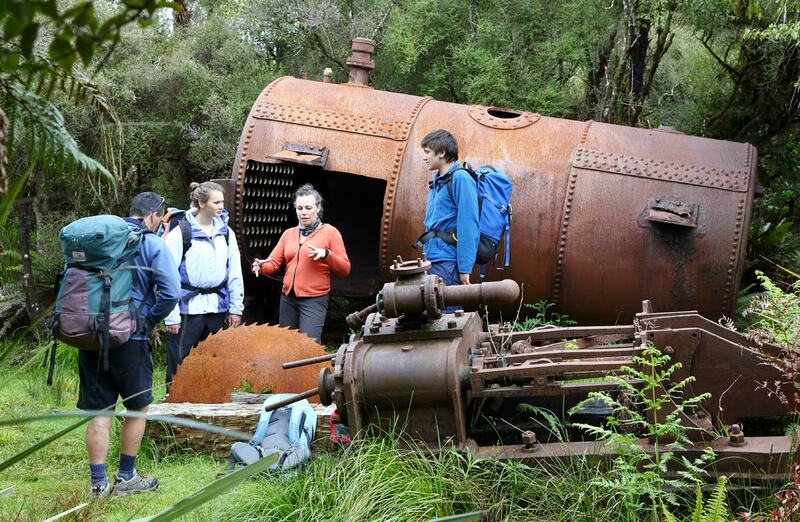 Immerse yourself in history, from early Maori settlement sites to sawmilling relics. Wander through beautiful native forests. Bookings are open for trips from 1 July 2018 - 30 June 2019. Bookings for the 2019/2020 season will open mid-June 2019. Check back early June for specific walk opening dates. The circuit follows open coastline, crosses forested interior and meanders along the sheltered shores of Paterson Inlet. It passes sites of historical interest and introduces many of the common sea and forest birds of the island. Parts of it cross Maori land and access is courtesy of the owners. 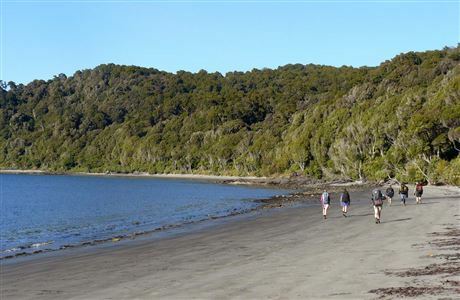 There are two huts (Port Willam and North Arm) and three campsites (Maori Beach, Port William and North Arm) on the Rakiura Track. Note, campsites are not adjacent to the huts. Camping is only permitted at the designated campsites. When camping, you may not use hut facilities, but a cooking shelter, water supply and toilet are provided at each site. Passing through the chain link sculpture at Lee Bay, the track follows the coast to Little River, which is crossed by a bridge. At low tide it is possible to walk around the beach and pick up the track at the point. From there the track heads around Peter’s Point and on to Maori Beach. The creek at the southern end of Maori Beach can easily be waded at low tide, however at high tide, continue along the track until you come to a small foot bridge. 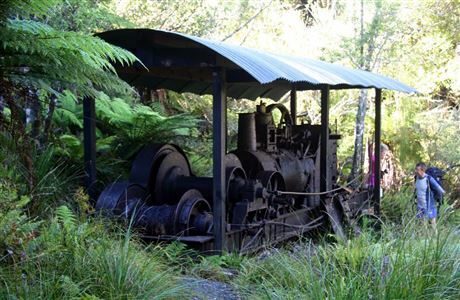 A track leading to a rusting steam boiler, a relic from the sawmilling days, can be found just few minutes on from the turn-off to this bridge. Maori Beach campsite is situated in a grassy clearing close to the beach. A larger bridge spans the tidal stream at the northern end of the beach and from here the track climbs a small hill and continues on to the intersection with the track to North Arm. Turn right and you will gradually drop down to the campsite above Magnetic Beach in Port William/Potirepo. Port William Hut is just a few minutes beyond the campsite. This section of track starts on the hill between Maori Beach and Port William. Trampers usually stay the night at Port William Hut and then backtrack the 40 minutes to the turn-off. The track passes through a variety of vegetation including previously milled and virgin podocarp forest. Remnants of milling activity are seen along the track as it follows old tramlines for the logs being directed to their various destinations. A campsite, with shelter and toilet, is sited above North Arm Hut. This section of track provides trampers access to the shores of Paterson Inlet. The track sidles around the headland from North Arm to Sawdust Bay.It passes a sawmill site which was operated between 1914 and 1918. The track continues through rimu and kamahi dominated forest emerging at the sheltered bays of Kidney Fern Arm and Kaipipi Bay. At Kaipipi Bay two sawmills employed more than 100 people in the 1860s. The track between Kaipipi and Halfmoon Bays follows the former Kaipipi Road, in its heyday the most used and best maintained on the island. From Fern Gully carpark it is another 2 km along the road (turn left into Main Rd) to get back to Oban township. Fees are charged per person, per night to stay in huts and campsites on the Rakiura Track. 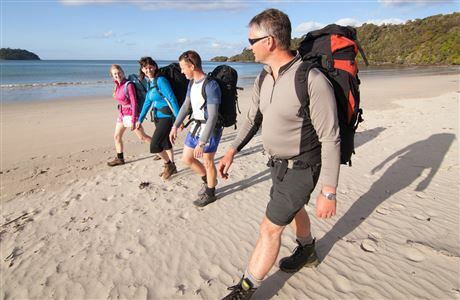 There are no fees to complete a day walk on the track or for entry into the Rakiura National Park. A 10% discount is available to members, staff and instructors of the following organisations, who also hold a valid 12 month Backcountry Hut Pass: NZ Mountain Safety Council; NZ Federated Mountain Clubs; NZ Deer Stalkers Association; NZ Land Search and Rescue (LandSAR); Scouts New Zealand; GirlGuiding NZ. Discounts are not available online. To receive the discount we need to sight your membership card and Backcountry Hut Pass, so please visit a DOC visitor centre in person. If you get a discount you won't be charged a booking fee. Decide whether you want to walk clockwise or anti-clockwise. Decide the date you want to stay at each hut/campsite. Note the maximum stay at each hut/campsite is 2 nights. Bookings are required for children and/or youth even though it's free for them to stay. If you're booking campsites, you'll need to know the number of people in your group as well as the number of tent sites required. Optional: Book transport services to/from the start/end of the track, or to huts/campsites on the track. This can be done unpon arrival on Stewart Island. Read the booking terms and conditions (scroll to the bottom to find the Terms and Conditions link) for general information, age ranges, prices, discounts, penalty rates and the alterations and cancellations policy. Bookings not meeting the terms and conditions will be treated as invalid and cancelled. The official entrance to Rakiura National Park at Lee Bay, 5 km from Oban. If walking from the DOC visitor centre in Oban, turn right and walk down Main Road. Turn left into Elgin Terrace, past the supermarket, and up the hill. Follow this main coastal road over a series of hills to Horseshoe Bay, then on to Lee Bay. The Fern Gully car park, 2 km beyond the Rakiura National Park Visitor Centre, which is located on Main Road in Oban. If you prefer not to walk from Oban, shuttles can be used for drop-offs at Lee Bay or water taxis can be used for access to Rakiura Track huts. 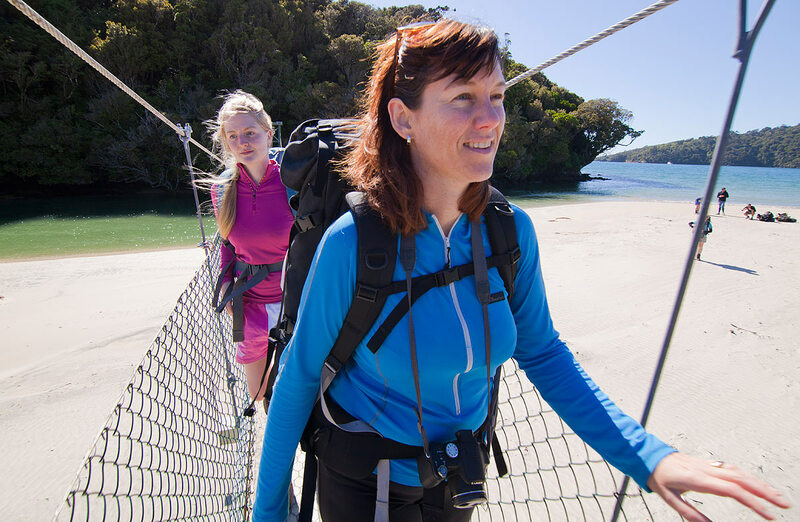 Get information on the Stewart Island website. Access to North Arm hut by boat is dependent on tides. 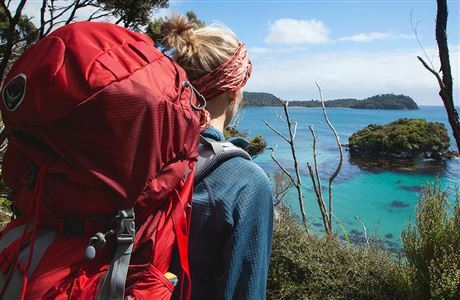 To get to Oban, the only township on Stewart Island/Rakiura, you can take a 20-minute flight from Invercargill or a 1-hour ferry trip across Foveaux Strait from the southern port of Bluff. In Oban you’ll find accommodation, supplies, equipment hire and transport to and from the start of the track. Stewart Island’s weather is very changeable and difficult to predict. Strong winds, hail and heavy rain can occur at any time of the year. You should come equipped for the very worst weather conditions. Remember, exposure and hypothermia can affect anyone and can kill. The following gear is essential, no matter how warm it is on the day of departure. Remember to pack everything in your pack inside a plastic pack liner, especially your sleeping bag and clothes. Plan properly for your trip and ensure your party has a capable, experienced leader. Mobile coverage is restricted to the immediate township area, so you may wish to consider carrying a Personal Locator Beacon or Mountain Radio. Fill in the hut books and include any change of plans. Keep to the tracks. Off the tracks the valleys are steep-sided and densely bush-clad. If you become lost find shelter, stay calm and wait for searchers to arrive. Be careful where netting is exposed and on wooden steps, these sections maybe slippery. 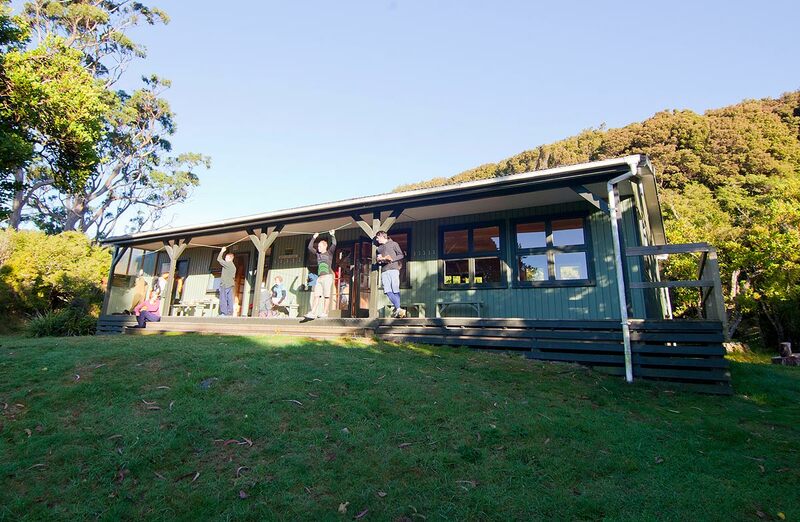 Huts on the Rakiura Track don't have gas cooking facilities, lighting or toilet paper. Remember to take a portable stove and fuel, candles and toilet paper with you. You can't buy food on the track. You'll also need water, snacks, biscuits, muesli bars, tea or coffee, powdered fruit drinks and emergency food in case of any delays on the track. View DOC-approved businesses that provide guided options in Rakiura National Park. Diverse native birdsong, lush forest, relics of bygone days, beaches and rugged coastlines are all features of this year-round Great Walk. Maori established hunting camps or kaika at many coastal sites, including Port William/Potirepo, reached by outrigger canoe. 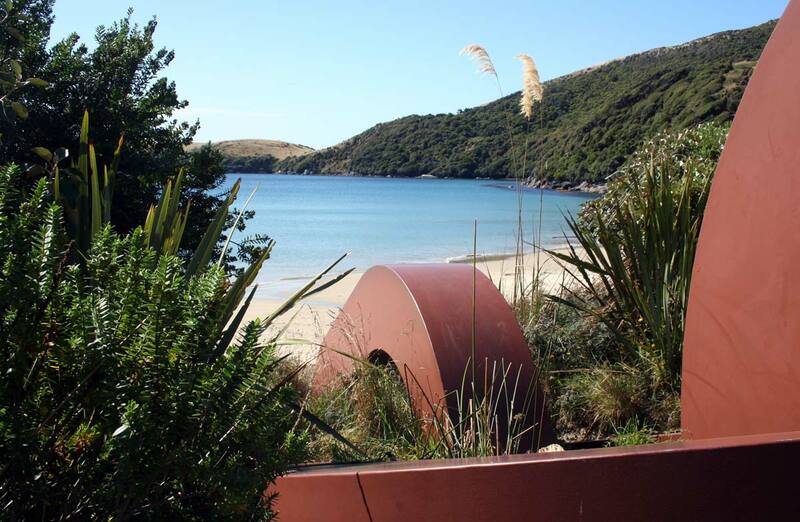 Port William/Potirepo was the site of the early Maori settlement of Pa Whakataka. During the 1800s its sheltered harbour was used by sealers and later as a whaling base. Gold prospecting was unsuccessful but the discovery of an oyster bed proved more lucrative. A government subsidised settlement by Shetland Islanders lasted only a short time, the bay’s gum trees the only remains of their presence. In the early 1900s, timber milling developed at Maori Beach which, by 1920, had two sawmills and a school. From the track, you’ll be able to see remains of the sawmilling enterprise which lasted here until 1931. The sheltered waters of Paterson Inlet/Whaka a Te Wera were used early in the 19th century by whaling boats. However, the first large scale industry here was in timber, beginning in 1861 with the opening of sawmills at Kaipipi. In the 1920s and 1930s the Norwegian Whaling Company ran a repair base in Prices Inlet where chaser boats were serviced in preparation for the Antarctic summer. First established in the 1980s, the walking track linking Port William with Paterson Inlet has been improved and upgraded to take walkers past relics of the timber milling days. 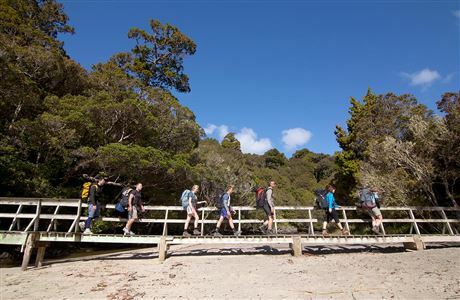 The Rakiura Track takes walkers through mainly rimu and kamahi forest with a rich diversity of tree ferns, ground ferns and perching orchids. Rata is more common at higher altitudes. Along the coast, keen bird watchers should look out for mutton birds/tïtï (sooty shearwaters), shags/kawau, Buller’s mollymawks/toroa, cape pigeons/titore and little blue penguins/korora. In the forest, walkers may see and hear bellbirds/korimako, tui, fantails/pïwakawaka, parakeets/kakariki, shining cuckoos/pipiwharauroa and wood pigeons/keruru, grey warblers/riroriro, kaka and tomtits/miromiro. The tidal flats of Paterson Inlet host a variety of wading birds including the New Zealand dotterel/tūturiwhatu, oyster catchers/torea, herons/matuku moana and godwits/kuaka.